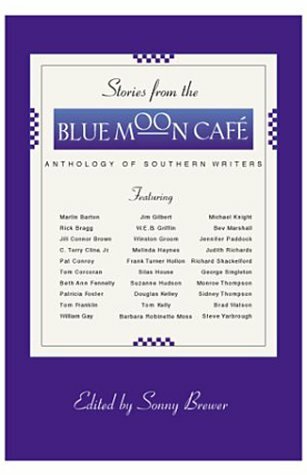 It&#146;s not uncommon for chapbooks to grow out of literary festivals at all, so Sonny Brewer has done nothing new in publishing &#147;stories&#148; written, at least in part, by the eclectic group of writers who appeared at a somewhat free-flowing annual event a few years ago called the &#147;Southern Writers Reading&#148; in Fairhope, Alabama. This elegant little piece takes its genesis from the Bible&#146;s &#147;Story of Ruth,&#148; and the film version of Steinbeck&#146;s The Grapes of Wrath, as the child begins to see himself and his haphazard family in the eyes of a larger culture for the first time. The anthology contains some heavy hitters. Pat Conroy&#146;s &#147;My Heart&#146;s Content,&#148; an excerpt from My Losing Season, is, essentially, an older and (he claims) wiser Conroy looking back and wishing he had fought in the Vietnam War, instead of protesting it. And Rick Bragg, a veteran New York Times writer, contributes the lyrical &#147;The Blues Is Dying In The Place It Was Born,&#148; a powerful portrait of three aging blues musicians in Belzoni, Mississippi, which incidentally appeared as a photo essay last summer in The New York Times Magazine. W.E.B. Griffin, too, graces these pages with his story, &#147;Going Back To The Bridge In Berlin,&#148; in which an aging World War II veteran revisits the scene of intense fighting with a younger wife who is more interested in making it to Sans Souci on time than understanding the poignant memories her husband is experiencing. The anthology is a good read, and recommended, despite a couple of stories that, in reverting too obviously to a hackneyed formula of rather precocious surprise endings, seem to better belong to an undergraduate writing class than to this anthology.